Millennials are the ultimate prosumers. They bathe in online media and communicate almost exclusively through OTT messaging apps. They have $200 billion in annual buying power, and they also have huge influence over their peers, instantly sharing their favorite brands and products with each other through social media posts or with a few taps in a quick message. Millennials value brands that actively engage with them via OTT messaging and also SMS messaging. Studies have shown that brands that engage with customers via messaging during the sales process can see conversion rates increase up to 100 percent. With success rates like this, brands are acuately aware that they need to engage with Millennials in the way they want to. 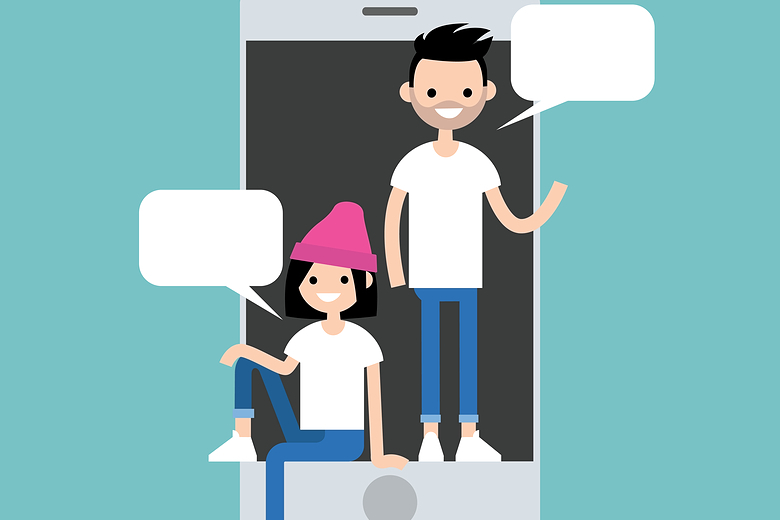 That means engaging them via messaging and social media — 62 percent of Millennials are more loyal to brands that do so — and SMS/ OTT messaging, their preferred form of communication. These channels are Millennials’ favorites not just because they’re easy-to-use and mobile, but also because they demand authenticity.Musician Ryan Leslie is a great example. He posts his phone number on his Instagram so fans can call or message him. This communication strategy has been so effective that Leslie built SuperPhone, a bidirectional SMS platform that helps him form genuine, personal connections with fans. Seventy-five percent of Millennials prefer messaging to voice communication--and it’s projected that 2 billion users will be messaging through OTT apps by 2018. They support brands that cultivate close consumer relationships with uncompromising transparency, collaboration, one-on-one communication, and loyalty.The one thing Millennials want in return for their loyalty? The personal touch. As we all know, earlier in the year Facebook launched their Messenger Platform that enables businesses to easily engage with customers. This initiative gives Millennials the freedom to communicate with their favorite brands through the mechanism they’re most likely to use OTT messaging and SMS messaging. More than anything, Millennials don’t want to be treated like passive consumers. Eighty-seven percent want proactive communication with brands, and they love co-creation opportunities, too, even if that co-creation is as simple as creating popular memes.Shoe companies like Nike and K-Swiss tapped into this co-creation opportunity early, with NikeID earning over $100 million in its first year alone, and Converse opened an in-store customization counter earlier this year. Brands can profit from Millennials’ penchant for co-creation with everything from customizable snacks to personalized mattresses. To improve your game with Millennial customers, the formula is simple: Just engage with them how they want to engage. Be communicative, transparent with your messaging, and collaborative and watch your company’s friend count grow.